Rep. Beshears in January of 2018. Monticello State Representative Halsey Beshears will be the next head of the Department Of Business and Professional Regulation. In order to take the role, Beshears will have to leave his seat in the House, where he’s served since 2012. While announcing the appointment, Governor-elect DeSantis called Beshears a “champion for deregulation.” Beshears had been appointed chair of the Ways and Means Committee for 2019, which has oversight over the Department of Business and Professional Regulation. The new chair of that committee will be appointed by House speaker, Jose Oliva. 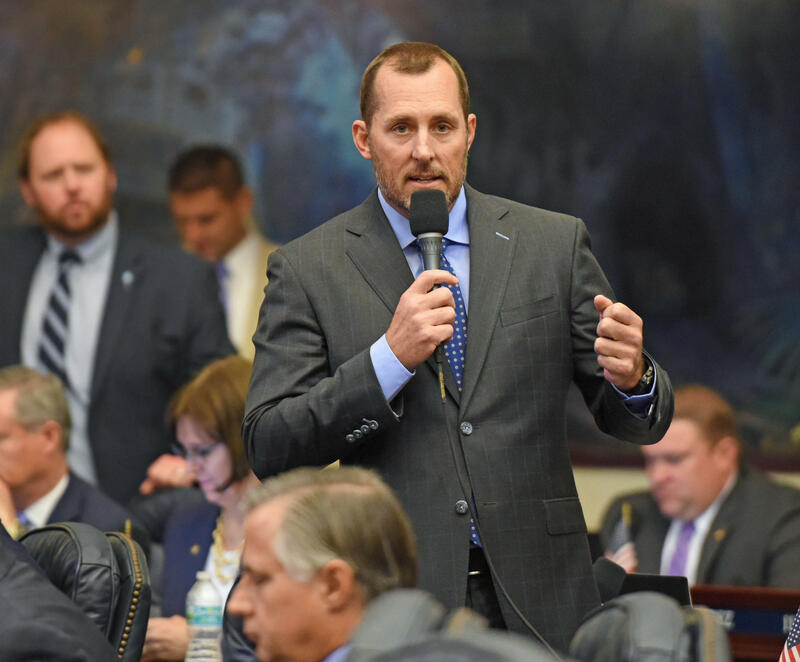 Gov.-elect Ron DeSantis is tapping Shane Strum as his chief of staff. Governor-elect Ron DeSantis has reached across the aisle, picking Democratic State Representative Jared Moskowitz to lead the Division of Emergency Management. DeSantis has also tapped former Republican Speaker of the House Richard Corcoran to head the Department of Education.